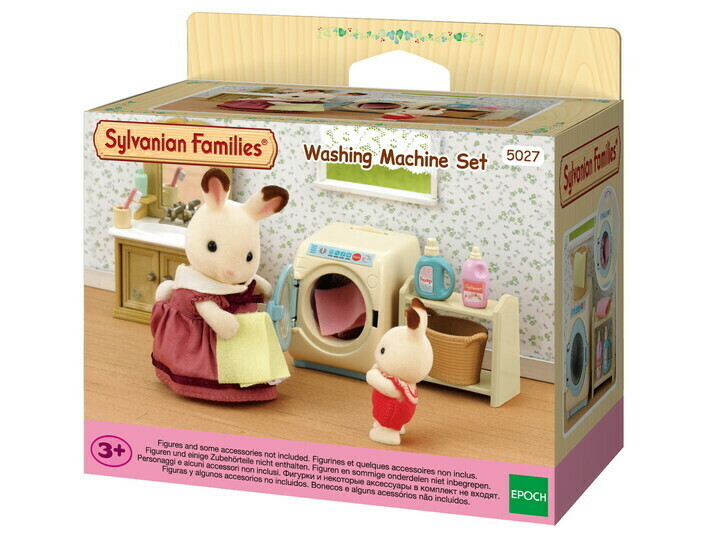 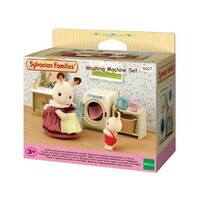 Sylvanians have to do their chores too, and this lovely Washing Machine Set is the perfect way to make sure your Sylvanians clothes are spring fresh. 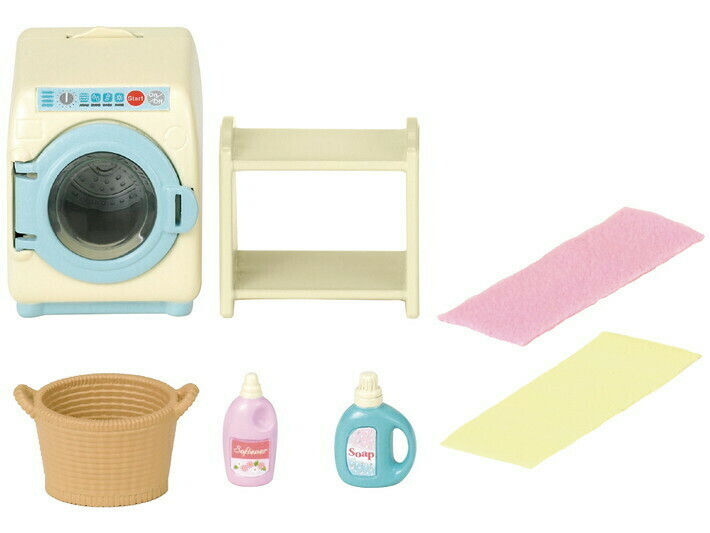 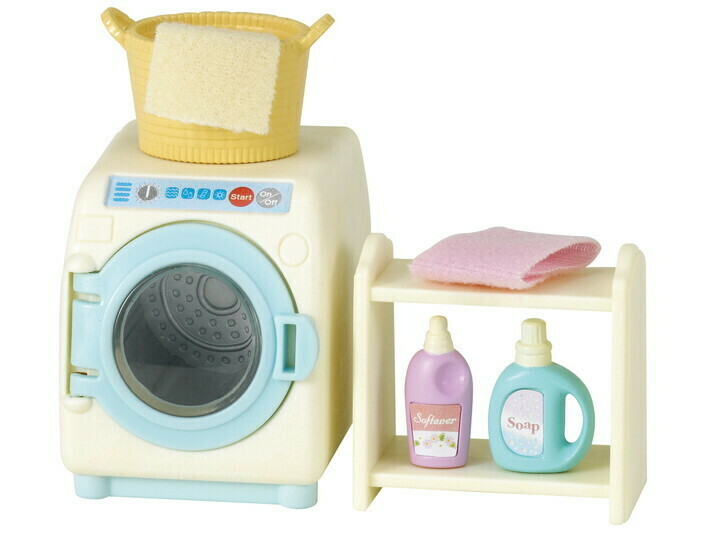 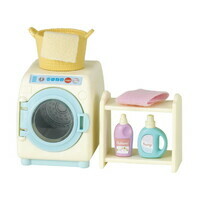 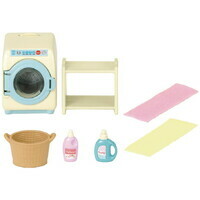 Included is a vintage-style washing machine with a turquoise door, as well as a woven-style plastic laundry basket, a shelf unit for storage, and finally a bottle of detergent to get things clean as can be, this is an ideal set if you want your Sylvanians to keep their togs squeaky clean. 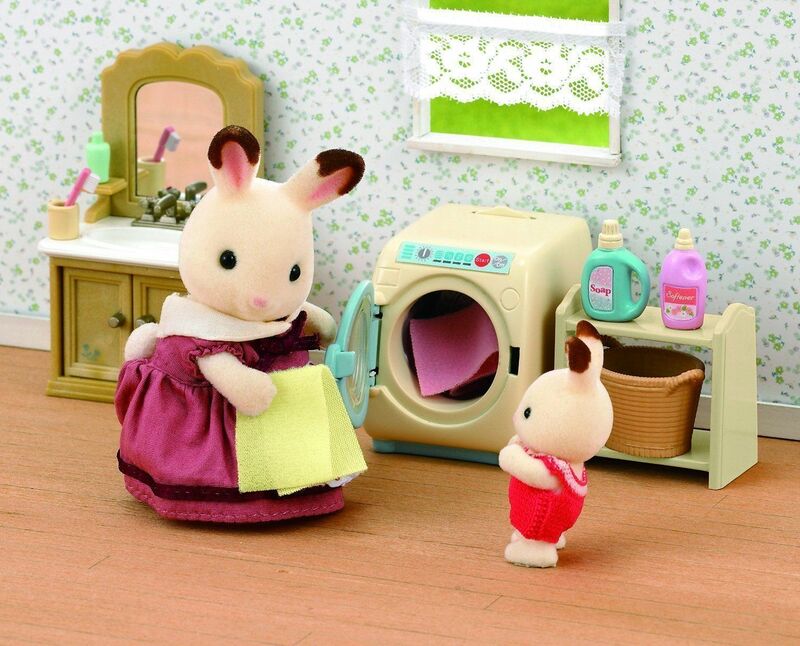 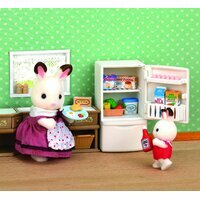 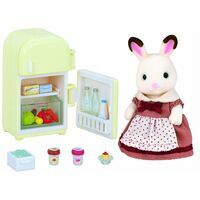 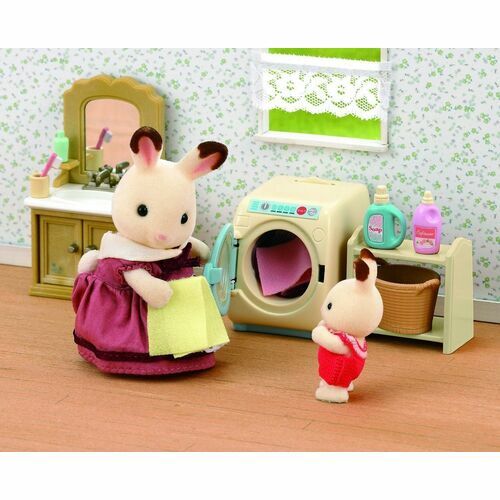 There's even some softener to make the clothes kind and gentle on delicate Sylvanian fur! 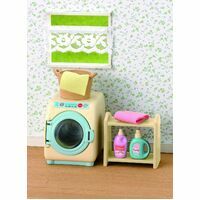 The set also comes with 2 towels in rosehip pink and buttercup yellow. 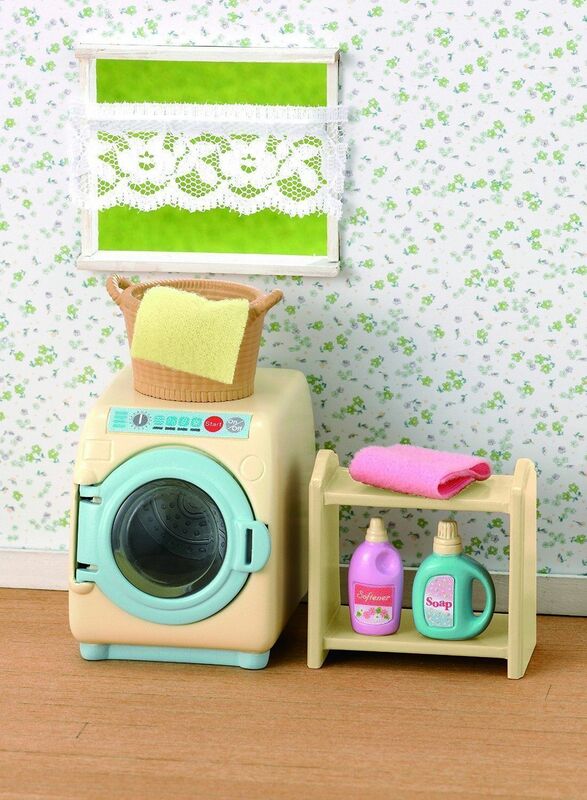 Laundry has never been so adorable!